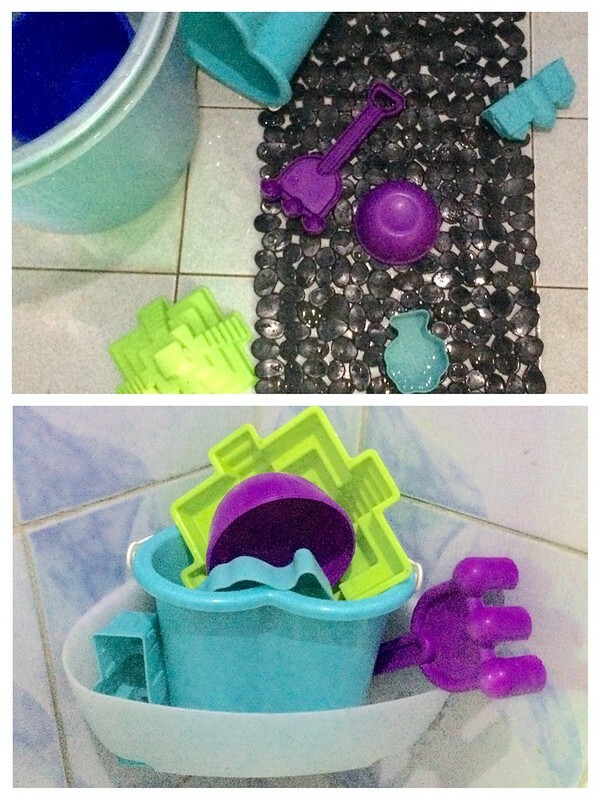 What's New| Take Command of your Bathrooms, Lasses! Everyone wants a clean, organized bathroom and sometimes that organizer needs to be drilled into your bathroom wall just to stay up. I actually find that as a hassle, holes are holes when drilled and it will damaged your bathroom wall permanently. So what can you do to organize? I have the problem with the bathroom toys too. So, I am so glad to find my fix. 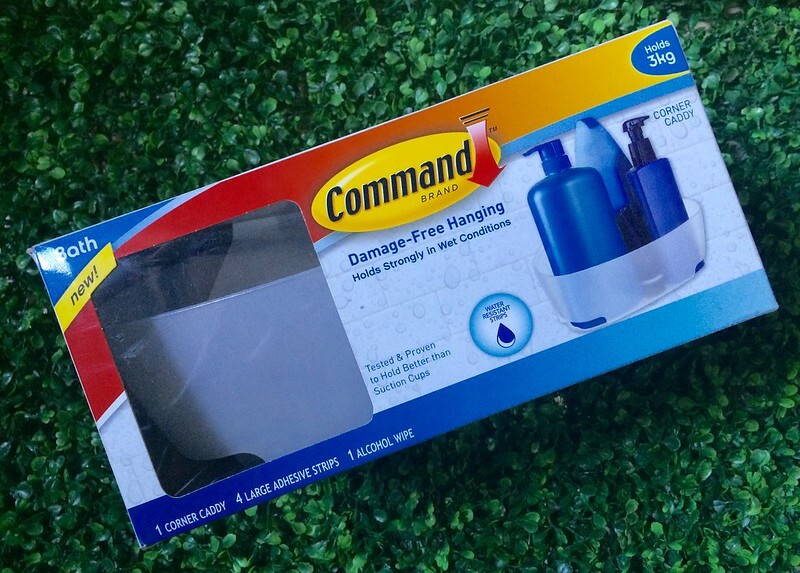 Get damage free organizational tools for your home with a brand that has been known for 20 years: Command. Their new bathroom line will give you stylish, reliable and is tested to withstand wet, humid services yet remove clean without the permanent damage on your wall. 1. So this is what's inside the box. Alcohol wipe, adhesive strips and the Corner Caddy. 2. 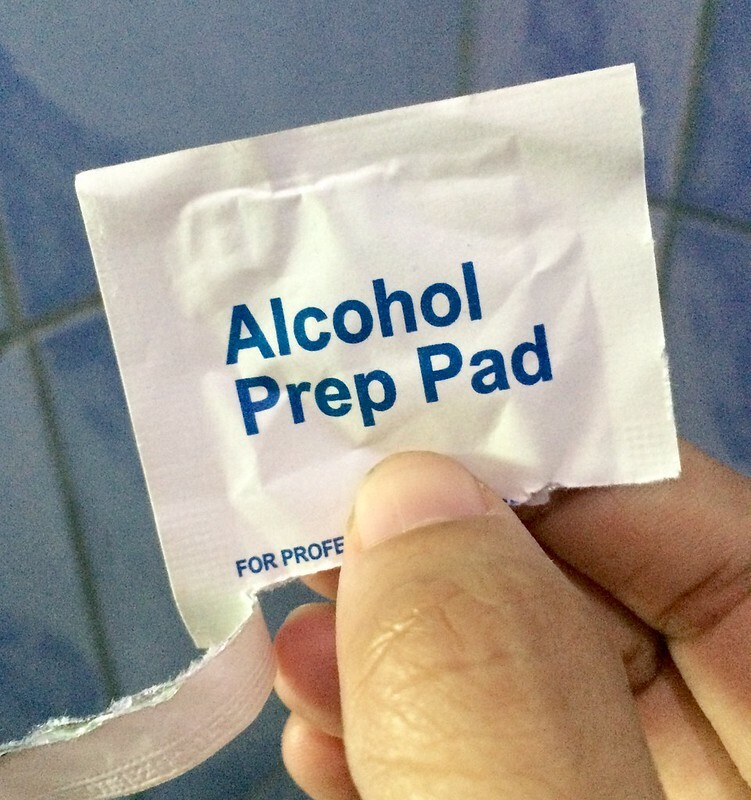 Prep the area on your bathroom wall where you plan to stick the caddy with the alcohol wipe. Do not use cleansers or soaps to prep the wall since this may affect the adhesiveness. 3. 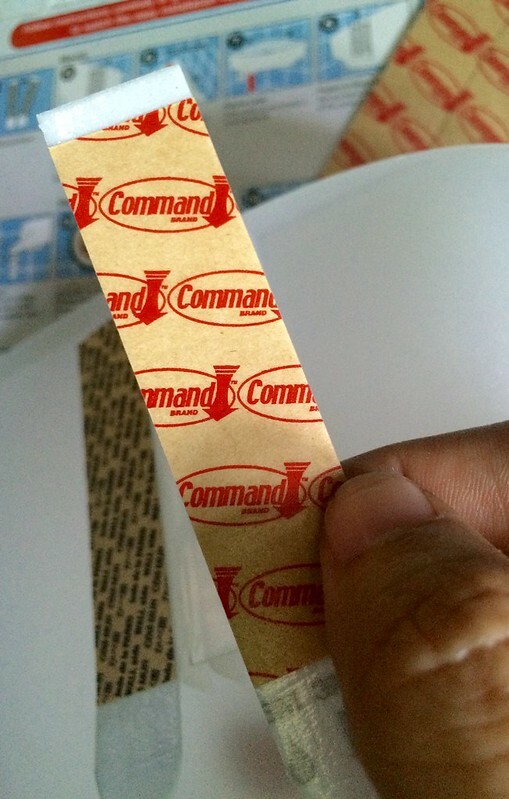 Remove the red backing of the adhesive tape. 3. Place it on the mounting base. Press firmly. 4. 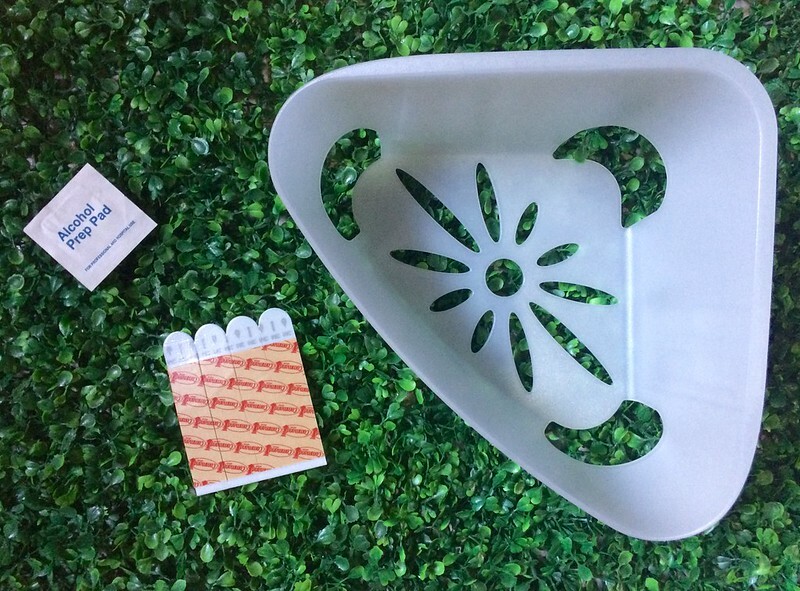 Stick the caddy to your wall and tadaaaaa... less mess in the bathroom! 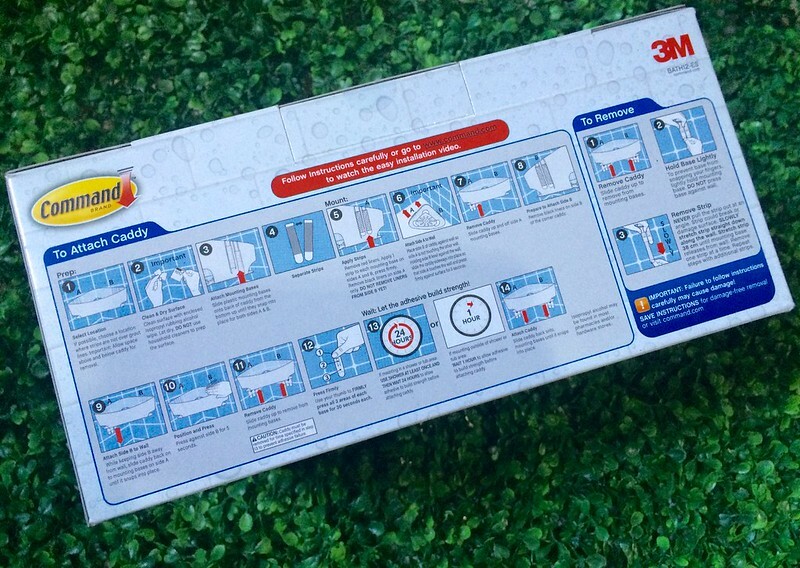 Now, if you plan to keep the caddy in a dry area then you need to let the adhesive stick for one hour below placing anything in it or if it's a humid and wet area, allow 24 hours for the adhesive to bond. From Bath hooks to hangers, shower caddy, soap dish, toothbrush holder, razor holder and many others, the Command Bathroom line can hold from 3 to 7.5LBS of weight. 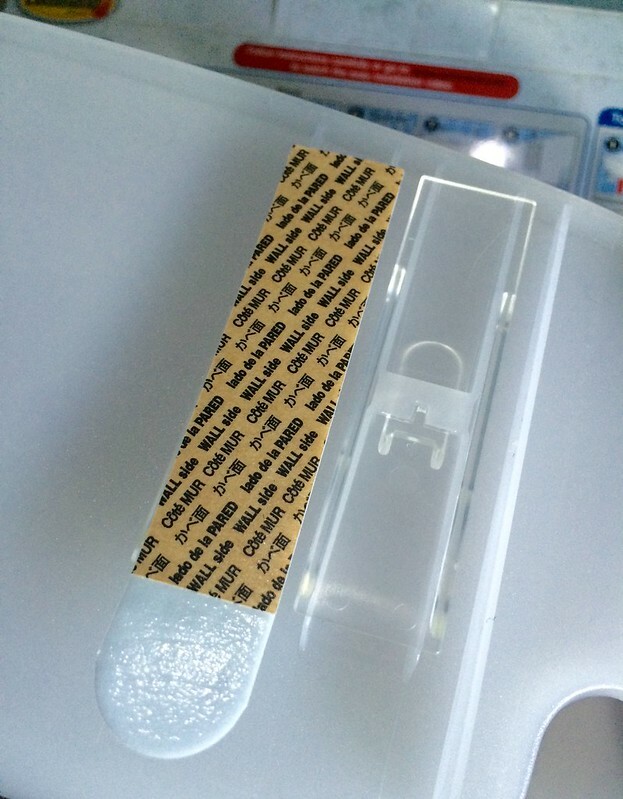 The best thing is that refill strips will let you move around the organizers easily. Get these from Ace Hardware branches nationwide starting from 229.75Php. NO, Ace Hardware near you? Don't worry since the Command Bathroom Line will be available soon at True Value, Handyman and Wilcon! Organize your bathroom and take Command mommies! Like their Facebook page for more updates here!